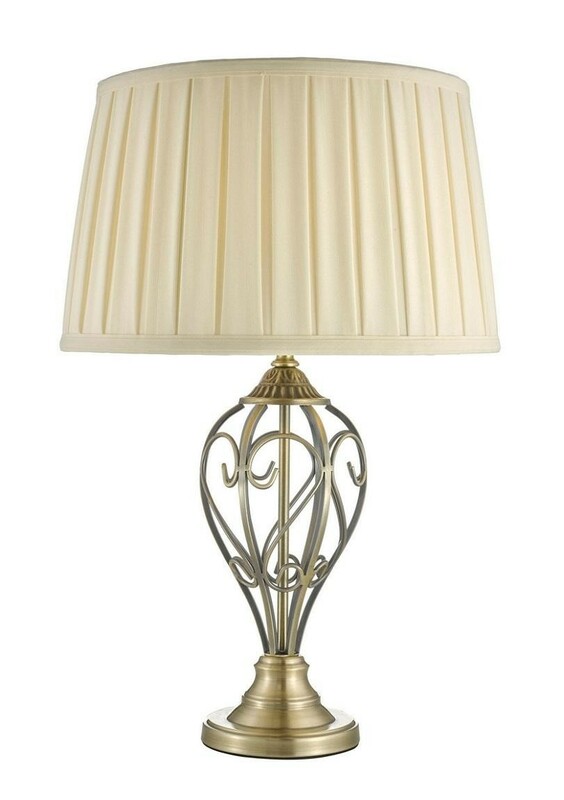 An ornate piece, this table lamp will add an elegant touch to the home. Designed with a simple cream shade, it is finished with an antique brass base with detailed metalwork. Place in the corner of the living room to complement a neutral interior. It is not suitable for use with dimmer switches and requires 1 x 42W Edison screw ES halogen bulb.